The calling of the Chem Chem Association is founded on the deep love and respect Fabia and Nicolas harbour for the tremendously fragile ecosystem in Tanzania. It is this passion that they share with their guests, donors, community, family and friends so that in the future, the communities they work to protect will build an ever-stronger connection to the land and continue the meaningful work of the Association themselves. Everything Chem Chem does, we do with the Association at the very forefront of our minds. Our driving force is the plethora of important projects we work on each day. 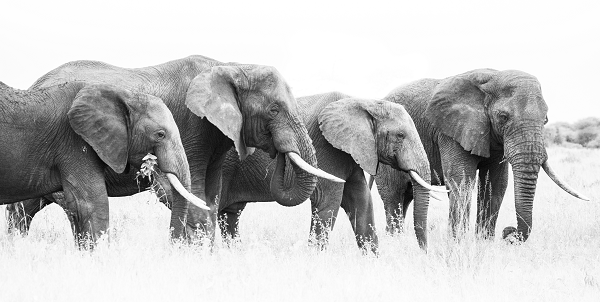 In a country where human-wildlife conflict, limited resources and pressure on the land is at a boiling point, we take a grassroots approach to holistic sustainability and building a strong future, together, with the communities, government and national parks. 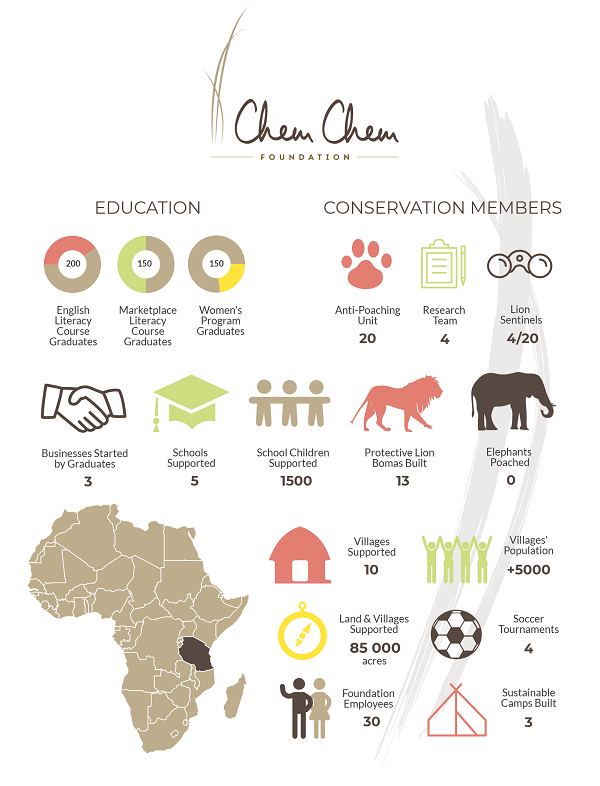 Each guest staying at Chem Chem makes a positive contribution to not only the Association, but also the thousands of people we help to support, the countless animals we help to protect and to securing the invaluable legacy of the land.